I Want Chickens, Now What? – Moms, For Real. Canadian Mom Bloggers. Real Healthy Living. 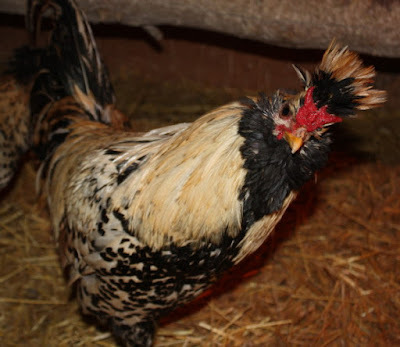 A Guide to raising your own chickens …. For Peeps Who Want Cheeps! With Spring officially here we are getting excited for our boxes of chicks to arrive at the airport. So the first step in any adventure, even crazy ones like ordering 200 chicks (no they aren’t staying in town, they will be on a farm). Is usually doing some research to figure out what you’re going to do with them once they get home. Being a City Girl I never knew there were so many Regulations for keeping birds, how many crazy breeds there are or how much I would LOVE having chickens. Read the fun stuff! I have included bylaws and the boring dry stuff at the end. Is it important for you to have a whole bunch of colours and sizes? Do you like the ‘odd and unusual’? The Ameraucanas come in all sorts of varying shades and colour patterns and lay blue eggs. 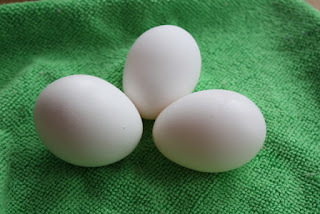 There’s Olive eggers are a cross breed which lay green eggs. 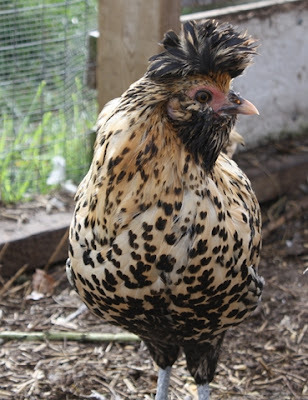 Brabanters look like they have a mohawk. 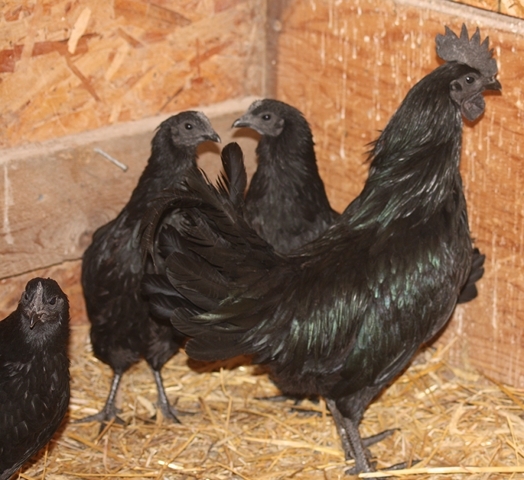 The Ayam Cemani have black feathers, black legs, black skin, black meat, and black bones but lay a white egg! Crazy! Orpingtons have some serious fluff to them, and come in all sorts of colours and variations. Barred Rocks have a beautiful speckle pattern to them. Do you want to conserve a breed that is going extinct? Rare Breeds Canada has a whole list of breeds going extinct. With SO many chickens to chose from it’s really whatever floats your boat. There’s a variety of heavy egg laying ladies out there. The hybrid hens or ‘commercial egg layers’ as we will call them have been bred to lay massive amounts of eggs. They usually won’t slow down laying in the winter, don’t really have the instincts to go ‘broody’, they also don’t have as much instinct to forage for food. Generally for the layers they aren’t a good dual purpose. If you want to raise up some meat birds the commercial Cornish Giant X get big FAST! They have been known to have their legs or hearts give out on them because of their huge growth. I have heard from some people who pasture raise them and feed them a slower growing mixture that they do quite well at it. That’s a lot of management. Oh, and no roosts for these babies, they can get blisters on their breasts. Heritage breeds are breeds that have been around for over 100 years. They are usually a wonderful dual purpose breed of chicken. Meaning that if you order unsexed chicks it could be a 50/50 split of pullets (young females under 1 year old) and cockerals (young males under 1 year old). So raise the cockerals up and then fill your freezer. 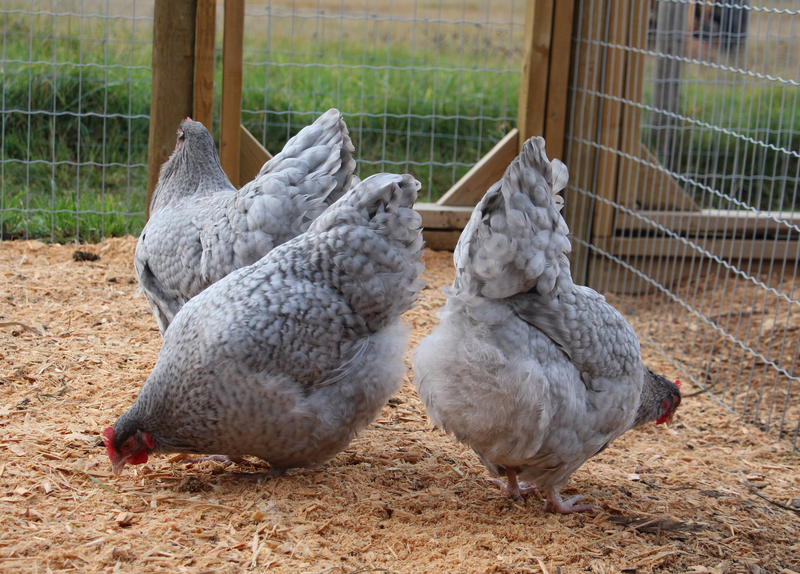 They heritage breeds are slower growing, they will still lay a lot of eggs but can slow down in winter. Heritage breeds (all depending on what breed you choose) can be more hardy for cold climates, better disease resistance and will forage for their feed. Up to 25% of their feed can come from foraging. So what do I need for space? So according to the Certified Humane Regulations states ‘In all single level, all litter house, a minimum of 1.5sqft (0.14sq. m) per hen must be allocated to allow normal behavior and dilute the feces’ now that is for building confined hens. I have read in various other places anywhere from 1.5sqft to 4sqft per bird for coop space. If your birds are able to go outside you can have a bit less space (though I wouldn’t go less than 1.5sqft per bird). So in a 4’x8′ coop you could have between 8- 20 chickens. That seems tight but you would have to see what you think your ladies will like, and what your municipality will allow. Here’s a funny thing I heard at the Alberta Organic Conference a few weeks ago. Chickens won’t go out a north facing coop door. Something to do with shadows possibly. Nesting boxes: I have read that you should have 1 nesting box per 5 ladies. I would go closer to 1 nesting box per 3 ladies for a backyard flock purely because it will either happen that they will want to nest all at once or they will only want to use one box. They are finicky like that. I use straw in my nesting boxes because it’s more nest-like and with a difference between the floor and nest box there’s less chance your ladies will drop their eggs on the floor. Litter: The stuff to go on the floor. Wood shavings are best. Easy to clean you can either clean every few days or do the deep litter method. Roosts: Chickens like to roost. Sit on a bar in the coop at night and sleep. 8″-10″ per lady is great if you can get closer to 12″ even better. If you’re looking for cool ideas for your coop design check Pintrest so many wicked ideas. Pasture, Free Range, Chicken Run or Yarding? Pasture: Chickens are provided ample outdoor space with their pasture area changing daily or as needed depending on impact to vegetation. Free Range: Access to large, fenced area outside the coop. No rotation or movement of outside area. Chicken Run: a confined area where chickens are allowed outside. No rotation or movement of outside area. 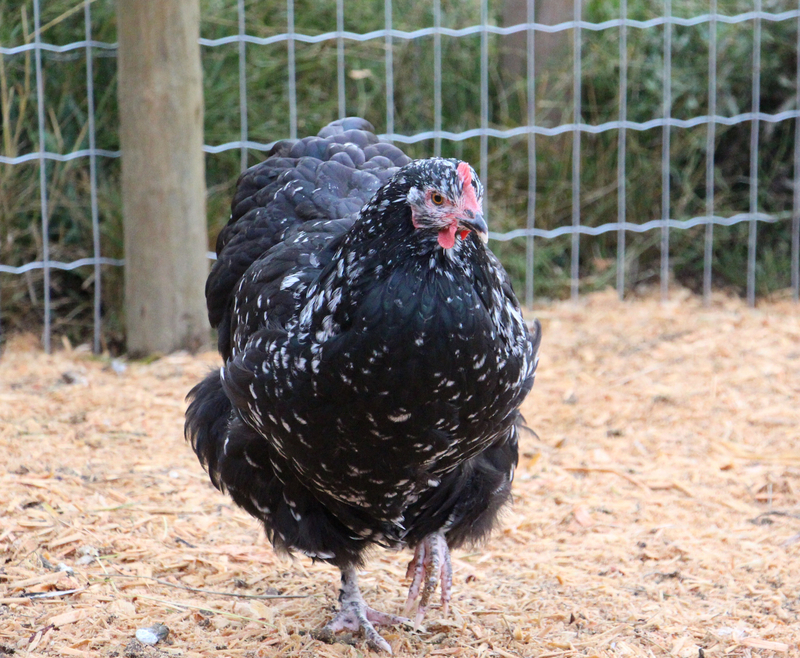 Yarding: Yarding is when you have basically different changing yards for your chickens to move about in. It’s almost like a cross between Pasture and Free Range. By rotating the yards the chickens are in it’s more like ‘intensive grazing’ which will let the chickens eat all the vegetation down, poop everywhere and then move yards so everything can regrow. While all 4 of these have some sort of coop for the chickens to be indoors at night. The options on what will work for you depends on your space, what you are willing to do to keep your chickens. Fencing: So many options. Chicken fencing, electro-netting (electrified netting type fence), concrete mesh, cute little white picket fence, I have even seen pallets turned into a fence. It all depends where you are. I’m sure there is something wonderful you can upcycle. Think about predators. What will these crazy critters eat? Well another thing that depends on you. What are your values? Organic? Soy free? Doesn’t really matter? It’s up to you. Kitchen scraps: shouldn’t be more than 10-15% of the daily value of what your ladies eat. Also a don’t feed them anything strong flavoured like: onions, garlic, fish, curries. It makes the eggs taste icky. Feed: You feed your chickens feed from different farm stores, feed mills and feed suppliers. UFA, Peavy Mart, Mountain View Feed Co., your local farmers Co-op, and even make your own. Feed should make up most of their diets. Depending on their age will depend on the mix of their feed. There’s chick starter, Grower, Layer and finisher. Oyster Shell: Chickens need calcium to make the egg shells hard. You can mix it in their feed or have it out for free choice. Grit: because chickens don’t have teeth they need little rocks in their guts to digest their food. They pick this up off the ground or you give them some extra (free choice works well) to make sure they get enough. Scratch: is a treat. If you throw it on the ground it gets them to scratch the ground and do normal chicken things Fresh Eggs Daily has some wonderful recipes so you can make your own. There’s other things like flax and kelp you can feed them. It boosts the Omegas in the eggs. You’ll be able to tell if the ladies eat too much flax because it can give your eggs an off flavour. Hey! We live in Alberta! It gets cold! What about the winter? Yup it does get cold here. So when you’re building your coop insulate it. It will keep it cool in the summer and warm in the winter. You do need to have good air flow so the moisture won’t build up and make your ladies sick. Not drafty. Windows, doors, fans and vents. The more the better. Keep that air moving. Also have your coop wired for a heat light (some people just use a light bulb) so if it does hit -40C next winter your birds will stay nice and toasty. Make sure you have an electrician or someone competent to install the electrical stuff, apparently there’s code for agricultural buildings (it’s handy to have an electrician for a husband) chickens count as agriculture! The ladies will cuddle up for warmth if needed. It’s nice if you open the coop hatch let them have the choice to go outside they will or they won’t. Make sure you collect the eggs a few times so they don’t freeze. Mice- love chicken feed. Keep the grass around your coop short and clear so there’s less places for them to hide. Keep feed in airtight containers like a big garbage can with a tight fitting lid. Keep the feed areas clean. Flies- they show up everywhere. Keep the smell and fresh manure to a minimum. If doing the deep litter method keep it all covered. Predators- I know here in Didsbury we have a lot of stray cats which will go after your chicks and smaller chickens. Mostly you should be worried about dogs (unless they are like my lab who is TERRIFIED of chickens), owls, hawks, eagles, or if you’re on the edge of town coyotes. Kids- Keep an eye on the little loves. Some younger ones can be ‘overly affectionate’ with the ladies and can harm small chicks, or get scratched up pretty good. Disease- Keep an eye out for anything weird in your ladies. Remember: chickens don’t get colds. Know your vet, just in case. Bio-security- Keep your chicken clothes and shoes clean! Make sure if you go somewhere else where there is other animals do NOT wear those shoes around your ladies. You can carry so many diseases and bacteria on your clothes and shoes. Also if you don’t maintain a closed flock have a quarantine pen, quite a bit farther away, so you can keep new birds separate from your flock for 30-45 days before introducing newbies. Just think ‘an ounce of prevention is worth a pound of cure’. The Government of Alberta has an awesome resource called ‘Raising Chickens in Alberta- a guide for small flock owners‘. If you would like to dig further into Regulations here is the ‘Alberta Chicken Producers Marketing Regulation November 2015‘. You also need to have a ‘Premises Identification‘ (PID) to link livestock and poultry to geographic locations for disease, health and food safety purposes, and emergency response. If you want to buy dewormer or need any sort of antibiotics you have to have a PID. Yes, even if you live in town or the city. I did find a recording from September 17, 2015 on our local radio station CKFM there is talk about putting in a bylaw. ‘Manager of Legislative and Development Services, Christofer Atchison, says some of the items expected in the bylaw will be amount of animals allowed, noise restrictions, and the type of animals that are classified under allowable livestock.’ here’s the link have a listen. Basically look into it just before to make sure you’re still good. I don’t think I would have a rooster in town because I know for sure I would have some cranky neighbours. Buuuuuuuut! Then there was this Urban Chicken Project and then the disappointing Backyard Chicken Pilot Project Scratched. Here’s my two cents, KEEP HAMMERING CITY COUNCIL! Eventually they will give in. And I found Bylaw Amendments for Food Growing! Neat! Sorry Calgarians for now maybe you should really think about moving. Buuuuuuuut you’re not allowed to keep a noisy rooster. Learn everything you can before you order any babies and get prepared before they show up! Good luck with your chicken adventures and just remember: Backyard Chickens are the gateway livestock to farming! Seriously – this book is a MUST!